The bright future of Southeast Asia’s economic development may become clouded by imminent threats to the region’s political stability. Rampant economic growth and macroeconomic stability has been attracting great attention to Southeast Asia for at least the last fifteen years. From 2000 to 2013, ASEAN economies grew at an average of 5.1 percent annually with just a 47 percent debt to GDP ratio, a buoyant young workforce, consistent savings and a blossoming internal consumption market. The bloc is projected to become the world’s fourth largest economy by 2050. All this is possible due to Southeast Asia’s proximity to global trade routes, fine demographics and a helping hand from the richer neighbors, as well as global investors. However, the bright future of Southeast Asia’s economic development may become clouded by imminent threats to the region’s political stability. A political stasis of sorts that we have witnessed over the last decades was perhaps the only possible dynamic that would be conducive to such rapid development. There is no need to remind readers of the degree to which leaders such as the late Lee Kwan Yew in Singapore or Dr. Mahathir Mohammad in Malaysia consolidated their power with an end to maintain high growth rates, better quality of life, economic modernization and technological advancement. One may suggest that there was no other way. Postcolonial development is not an easy endeavor. Political reform along with issues of social, ethnic and religious diversity were all considered best to be frozen for the time being. Now the ice may start melting. Not all of it at once, of course, but just enough to throw a wrench in the gears. Let’s take a look at some of the trends of the first six months of 2015. Myanmar continues to stumble on its way towards political reform with proper representation and institutions of civil (as opposed to military) governance. With the parliament maintaining the military’s veto and essentially blocking Aung San Suu Kyi from becoming president, a transfer of power to non-military factions seems improbable in the near future. Moreover, the country continues to fail to address its own ethnic and religious diversity. Insurgency in the Kokang state and a constant flow of Rohingya Muslim refugees has become an issue not just for Myanmar, but for the whole region with migrants having nowhere else to go but to the neighboring states. In Thailand, the military overtook the country in an attempt to prevent political destabilization, but, ironically, it is not the type of stability welcomed by all. 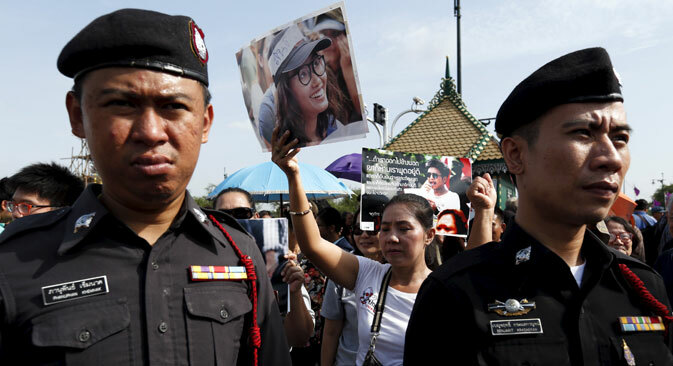 Growing dissent over temporary governance being not that temporary, free speech infringement and a lack of political freedom is starting to worry even Bangkok's allies in the United States. Certainly, such issues are not new. But they are being amplified by the increasing penetration of mass communication technology, especially mobile Internet and social media. Popular unrest over the NGO Law in Cambodia, the new Bersih movement in Malaysia and corruption scandals in the Philippines could all be hidden from the international attention if it were not for the omnipresent web tools. Inequality, bad labor conditions, discrimination, weak rule of law are all issues that could have remained hidden in the past, but are tweeted, posted and instagrammed constantly in 2015. International NGOs are quick to scoop such stories, investigate them with the help of the global media and make them even more visible. Consequently, foreign investors are quick to be affected by reputation loss and guilt by association. This may actually not become a problem at all. The mainstream media narrative about Southeast Asia these days is China’s assertive behavior in the South China Sea, land reclamation and maritime security. An approach like this makes the states of the region seem like monolithic actors and objects of great power politics. What often skips public attention is that almost all of them have their own internal issues. But how often do you read about the Moro Islamic Liberation Front in the Guardian? Does The New York Times cover the introduction of Sharia law in Brunei on a regular basis? Certainly, it is difficult to beat Ukraine, presidential elections in the US, the Islamic State or Greece. Greater scrutiny will make the lives of Southeast Asian elites much more difficult, but will also force them to modernize and develop, bringing political reform up to the tempo of economic growth. Anton Tsvetov is the Media and Government Relations Manager at the Russian International Affairs Council (RIAC), a Moscow-based foreign policy think tank. He tweets on Asian affairs and Russian foreign policy at @antsvetov. The views expressed here are the author’s own and do not reflect those of RIAC.